Located in Southern Chile, Ancúd sits on the northern coast of the Isla Grande de Chiloé – the second largest island in South America. This photo was taken adjacent to the Plaza de Armas (main square). Many regular happenings take place here including outdoor markets and night movies in the summer.The cultural presence of Ancúd can be experienced through the street music and graffiti murals. Posters on walls throughout the town publicize upcoming events such as cinema screenings, music festivals and fútbol events in Ancúd and in other areas on the island. A highlight of visiting the area is to visit the penguin colony only 16 miles (26 km) from Ancúd. Half-day tours cost $26 including transportation and boat ride to view the penguins. Learn more about “How to Travel by Bus in Chile” including a list of the top bus companies. 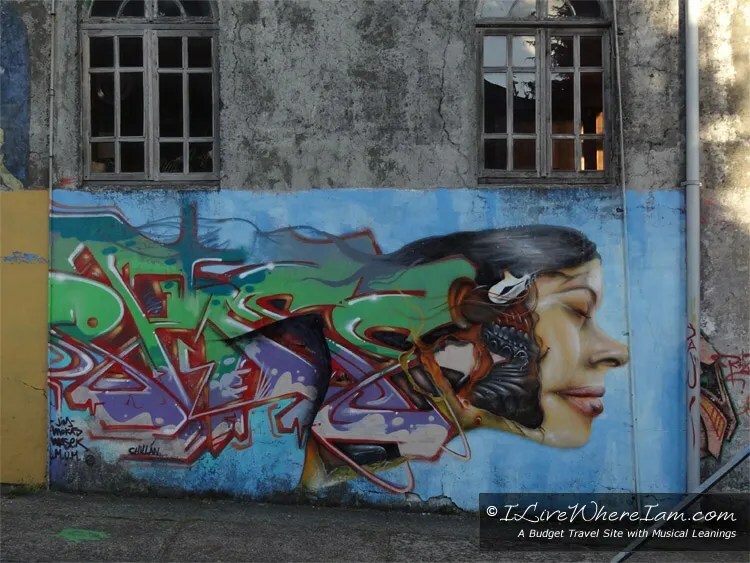 This graffiti is a nice mix of styles from 3D to mural. Great pic! Nice critique, well put! 🙂 It was quite a striking graffiti mural to see in person. It was obviously something special. Glad you liked the pic!